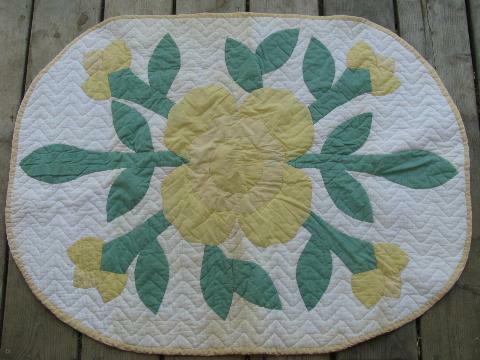 Hand-stitched cotton patchwork applique throw rug or mat, 1930s or 40s vintage, made quilted cotton mattress cover material. 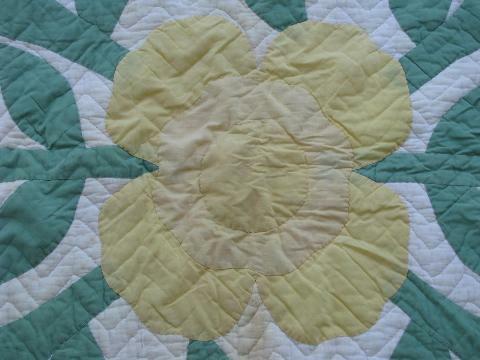 This is so cute, with the cotton seam binding and the big bright flower! 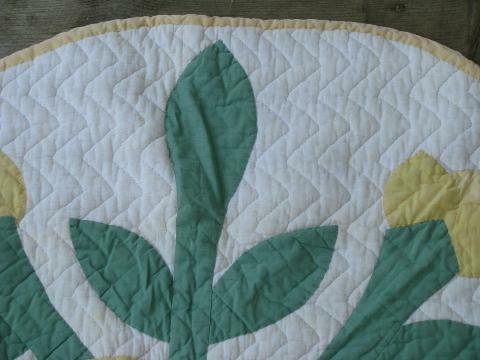 Measures 35" x 26 1/2", and has some yellowing and soil marks from use and storage, especially to the fold lines.